Keijo Häkkinen is a professor in the Department of Biology of Physical Activity at the University of Jyväskylä, Finland. He has been qualified for a scientific competence for the academic chairs of the professorship in Biomechanics in 1989, Exercise Physiology in 1991 and Science of Sport Coaching and Fitness Testing in 2001 at the University of Jyväskylä. 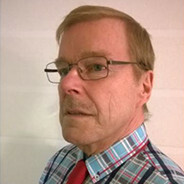 He obtained the adjunct professorship in Biology of Exercise Training in 1992 in the Medical Faculty at the University of Oulu. He has about 350 international peer-reviewed research articles, 50 articles in refereed congress proceedings and chapters in books, 10 refereed reviews and co-authored books, and 160 domestic publications and 8 co-authored books. His research interests are broad within the biology of physical activity but the major interests focus on neuromuscular and hormonal responses and adaptations during strength training as well as during combined strength and endurance training in men and women at different ages and in athletes from various sport events. He has given numerous presentations in international scientific congresses and various seminars, and contributed to the organizing process of about 30 International Congresses. He received the NSCA Impact Award in 2015. He is a chairman of the International Scientific Committee of International Conference Series on Strength Training.